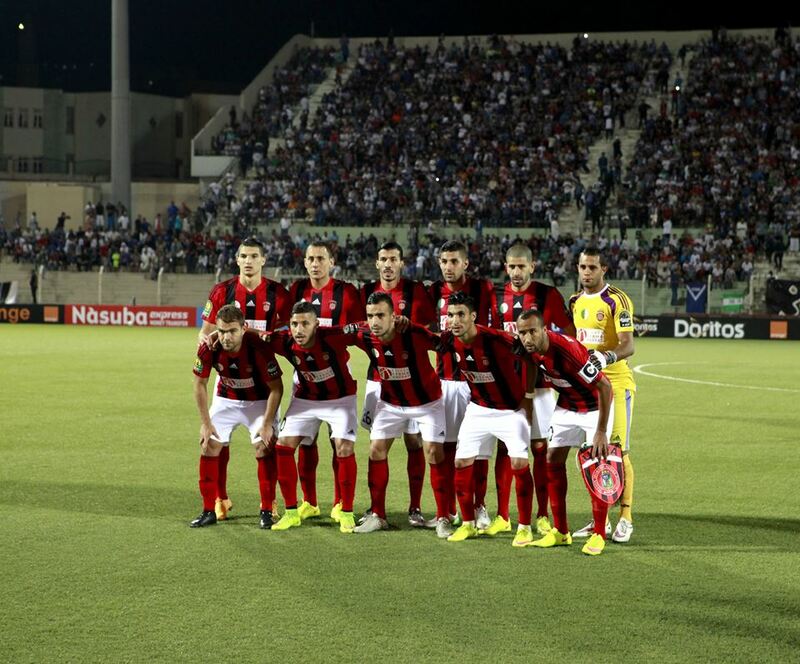 USM Alger booked a place in the semi-finals of the CAF Champions League after securing a 1-0 win away to MC El Eulma in a game played on Friday night at the Stade Messaoud Zougar. L’USMA were in need of a win to assure a place in the semi-finals of Africa’s premier competition for the first time since 2003, and they did so – continuing their perfect start to the tournament. The only goal of the game came via Mohammed Rabie Mefta’s header, which slammed against Mokrani’s net – heaping more misery on the home side. MC El Eulma XI: S.Mokrani; A. Maiza, A. Namane, M. Belhadi, N. Dehouche,Benettayeb, N. Hammami, N. Korichi, M. Belkhiter, F. Hemiti, A. Abbes. USM Algier XI: M.Zemmaamouche; M. Mefta, B. Boudebouda, F. Chafai, M. Benkhemassa, H. Benayada, H. El Orfi, Z. Ferhat, K. Beldjilali, M. Seguer,Y. Belaili. Chances were few and far between in the first half, as the likes of Fares Hemiti and Nadir Kourichi fell short of getting the opener for the opener for the hosts inside the first half, after a volley from the former was easily dealt with by the visiting team. Hemiti came close again in the early stages of the first half, but his efforts from a freekick was only a few inches of target. USMA’s Kadour Beldjilali nearly paid for wasting a glorious chance shortly after the interval, but Eulma’s Mohamed Belhadi’s effort moments later could only force the visitor’s goalkeeper to make a frantic save. Ouled El Hamra had a fantastic chance to score minutes after the restart, but Seguer’s header was cleared away by the ever-present Mokrani. Mefta got the crucial goal for the visitors five minutes into the resumption of the second half, putting Miloud Hamdi’s men in the lead. However, the home side were not willing to give in – as Belkhiter went through on goal before unleashing a powerful strike that went over Zemmaamouche’s bar. Beldjaili continued to provide chances for his teammates to score, hoping for a second goal, and with just over 20 minutes remaining he put in a low cross for Belaili who somehow failed to score. The capital club once again came agonsingly close to doubling their lead, Beldjaili’s cross once again finding Seguer, whose cross slammed against the woodwork. Despite missing several chances, USMA held on until the end, taking their tally to 12 points at the top of Group B, while MCEE remain without a point in the four games played so far.